Ford— one of today’s American pillars— announced today that they will be adding 1,200 workers to their Kansas City Assembly Plant to help with the production of the Ford transit van. The addition brings the automakers job creation total to more than 14,000 since 2011, which exceeds the 12,000 jobs that Ford agreed to create in its 2011 contract with the UAW. “Adding a second shift to Kansas City Assembly not only adds more jobs to the community, it also helps deliver more Transits to more customers throughout North America,” Joe Hinrichs, Ford president of the Americas, said in a statement. At the same plant, Ford added 2,800 jobs in 2012 and 2013, along with investing a whopping $1.1 billion towards expansion. 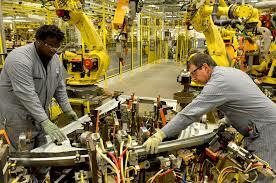 Currently, the Kansas City plant has a total of more than 6,000 workers. “I am very pleased that we are able to add 1,200 new jobs to KCAP which will strengthen this community and continue our efforts to grow good paying middle class manufacturing jobs,” said Jimmy Settles- UAW vice president for its Ford department. Obviously, this move and the recent growth of Ford are significant signs that the American auto scene is thriving, something that the country desperately needs to spur innovation and financial well-being. Even more impressive and deserving of credit is the fact that Ford has been able to establish a growing, thriving operation without the government support that rival company GM has needed. Instead, Ford took out a $5.9 billion loan under their own watch, completely confident in their own planning. Now, it is all paying off. Ford is increasing profits and expanding worldwide. They are a symbol of everything great about American innovation and business. They are a company that deserves respect from us all. 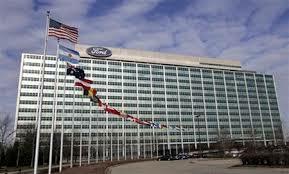 This entry was posted in Culture, Ford and tagged ford, kansas city, kansas city assembly plant, UAW. Bookmark the permalink. Tony Stewart Not Charged for Death of Kevin Ward Jr.